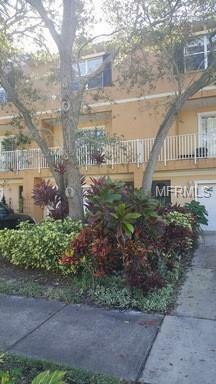 This truly spacious 3 story townhome is a fabulous south Tampa deal. Located in historic Port Tampa, this home is so convenient to all that Tampa has to offer! Minutes from Mac Dill AFB, downtown Tampa, bay area bridges, and beautiful waterfront Picnic Island Park. This home was built for entertaining and features an open floor plan, huge formal dining room and 2 car+ tandem garage. You can feel at ease buying this unit as it features a newer AC (2017) and updated durable laminate flooring in living areas (installed 2016). Looking for an investment? This one can't be beat and has had a strong rental history with great tenants, most recently being rented for $1800 per month!